YOUR NUMBER 1 CHOICE FOR BUSINESS & LEISURE IN GREAT YARMOUTH! 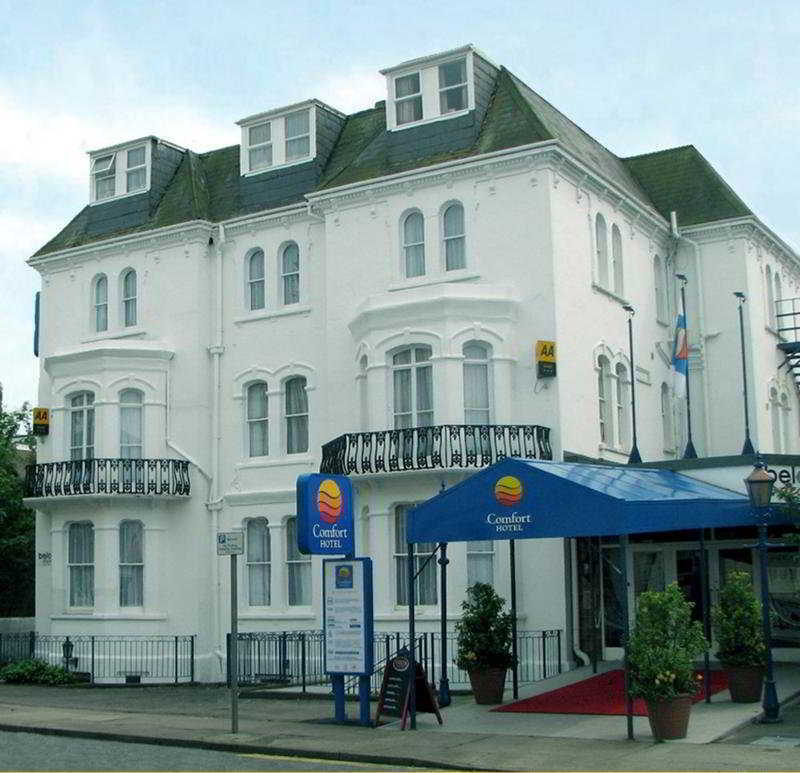 Ideally located just a minute’s walk from Great Yarmouth Golden Mile, the Comfort Hotel Great Yarmouth is a superb base for a leisure break by the sea with plenty to see & do in the surrounding area including the Norfolk Broads. For the business visitor to Great Yarmouth, the hotel is within easy reach of all business centres, Gapton Hall, South Denes & the Euro Centre as well as being just a 2 mile drive from North Denes Heliport. Hotel facilities include ‘Below Decks’ Restaurant, offering home cooking at its best, at competitive prices in contemporary surroundings. The well stocked ‘Lookout Bar’ and lounge offer snacks, light bites while the latest sports are shown on the big screen. The hotel has FREE WI-FI throughout, FREE on & off site parking and enclosed gardens. The hotel boasts a variety of 50 tastefully decorated en-suite bedrooms including Family rooms all with tea/coffee making facilities, cable television, telephone, radio/alarm, hair dryer and FREE Wi-Fi internet access. The 100 capacity Garden Suite offers a civil ceremony license, air conditioning, natural lighting over looking the hotel gardens (perfect for relaxing in the seaside sunshine!) as well as inbuilt screen & PA system for conferencing. PLEASE NOTE – THERE IS NO LIFT IN THE HOTEL. KIDS STAY & EAT FREE! Children aged 10 years and under eat FREE from the children’s menu per paying adult ordering an adult main course from our main menu until 30th November 2014!